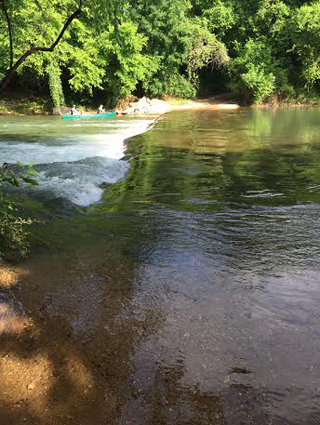 One of the best smallmouth bass streams and one of the best trout rivers in Arkansas! Welcome to Song Dog Kayak Rental, you have found the only fishing kayak rental service on Crooked Creek, one of the best smallmouth bass streams in Arkansas if not the southern U.S.
We are also one of the few fishing kayak rentals on the White River, one of the best trout rivers anywhere. In what is fast becoming the newest way to enjoy sport fishing, anglers all over the U.S. are using kayaks for unparalleled access to the nations small, and oft overlooked, fishing streams. One has only to look at the variety of fishing kayaks now being offered in sporting outlets to realize this is a trend that is here to stay. Take a few moments and browse our website to see the quality kayaks we offer and the numerous float options available. You will find our service second to none and our rates very affordable. We look forward to seeing you..